I am a huge fan of Eric Lau. He makes soothing hip-hop/soul beats that I can't seem to get enough of. 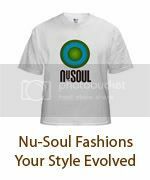 Check out my review of his latest for my site, Nu-Soul.